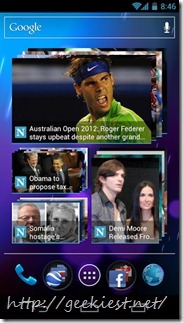 News is an advanced news reading client for Android devices. 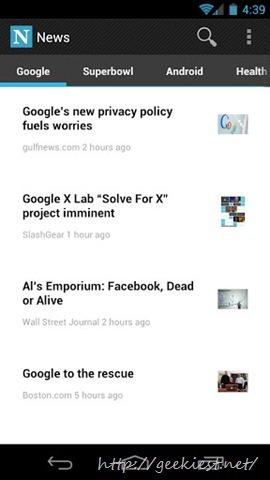 The news listed on this app are collected and sorted from Google itself.When you open the app you can read top headlines from all over the world from Google news. * Simple but brilliant functioning. 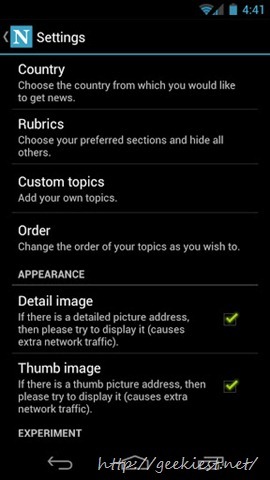 * Great User Interface which is customizable by user. 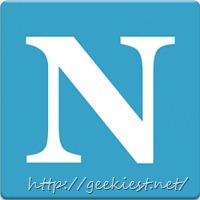 * Allows you to create custom news searches. 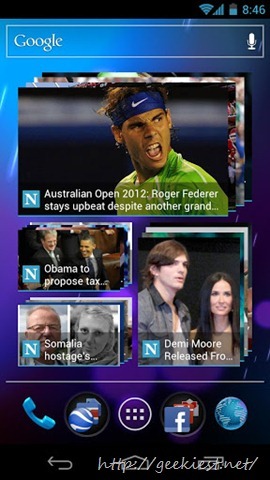 * Home screen widget allow you to place multiple Windows as a stack where each window focus a single news vertical or custom search. 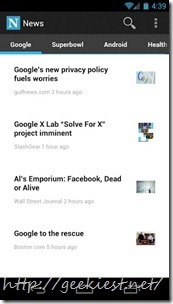 * Cycle through thousands of news articles indexed by Google News everyday. * Consumes less battery and data. 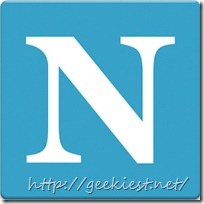 Even though it has a few limitations, News is a great interface which help you to keep in touch with top headlines from all over the world, and you can download this app for free from Google Play Store. 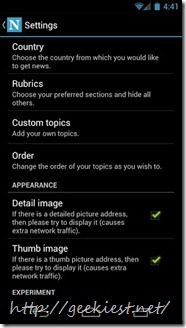 FREE Online video tutorials developed by Google experts on Android development and web development.